I'm a sucker for nice stationery. Cool notebooks, to-do list notepads, pretty pens, handy diaries, cute stickers, you name it, I want it. My favourite shop for stationery is by far HEMA (Dutch). 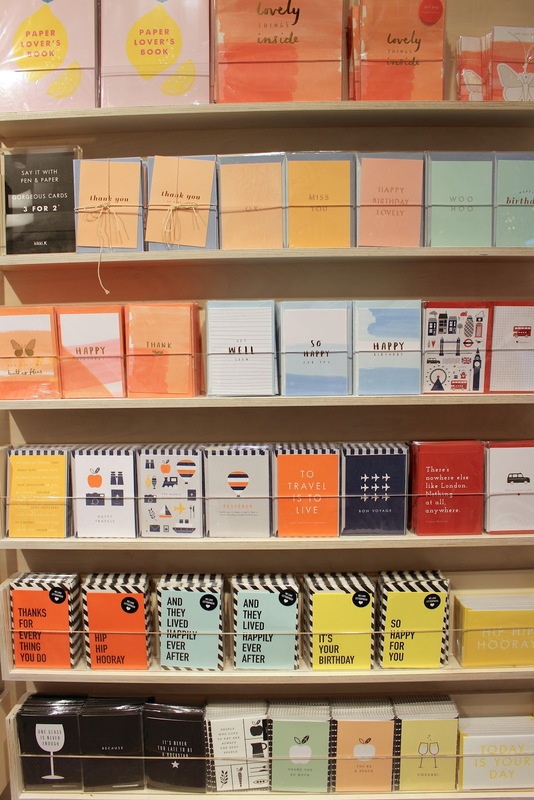 But now there's a Swedish stationery brand that came into my life and stole my stationery-loving-heart: kikki.K. 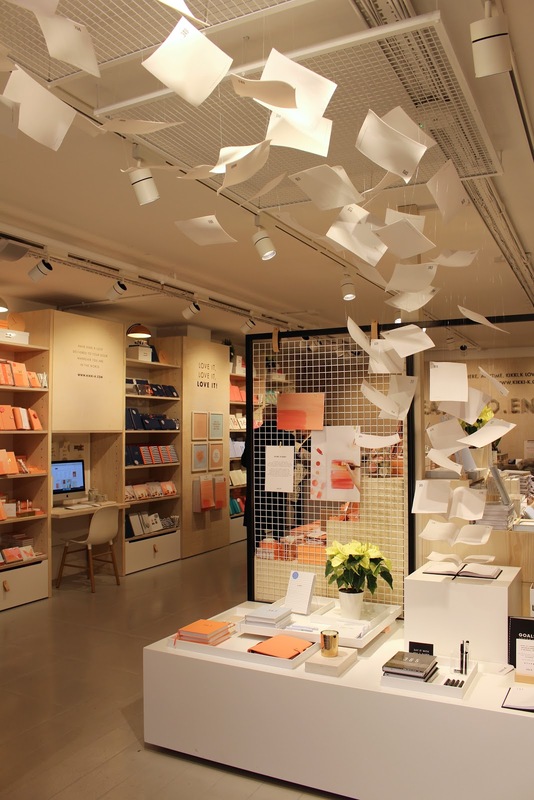 And just like all things Swedish, kikki.K doesn’t disappoint on the design-front. 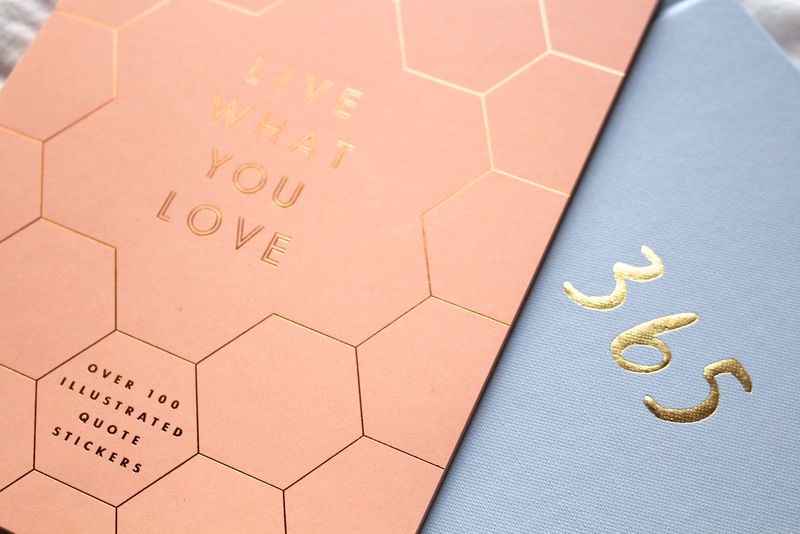 Let me show you a little more of this amazing new stationery brand! It was actually a Swedish friend who told me about this shop, so on my last day in London I headed into Covent Garden to find this cute shop I’d been told about. 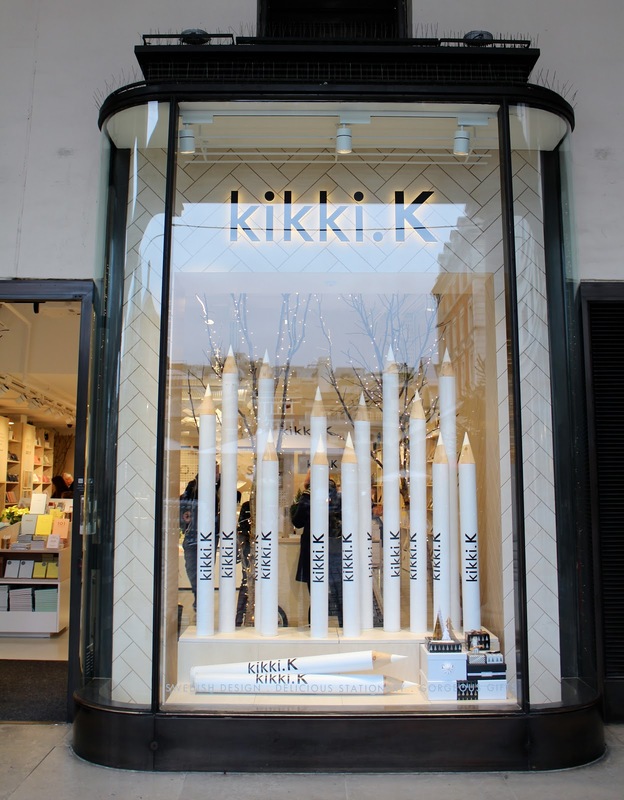 It wasn't too hard to find since there's a kikki.K pop-up store and an actual flagship store. They stock about the same things at both store but I recommend checking out the more spacious flagship store which is on the piazza. 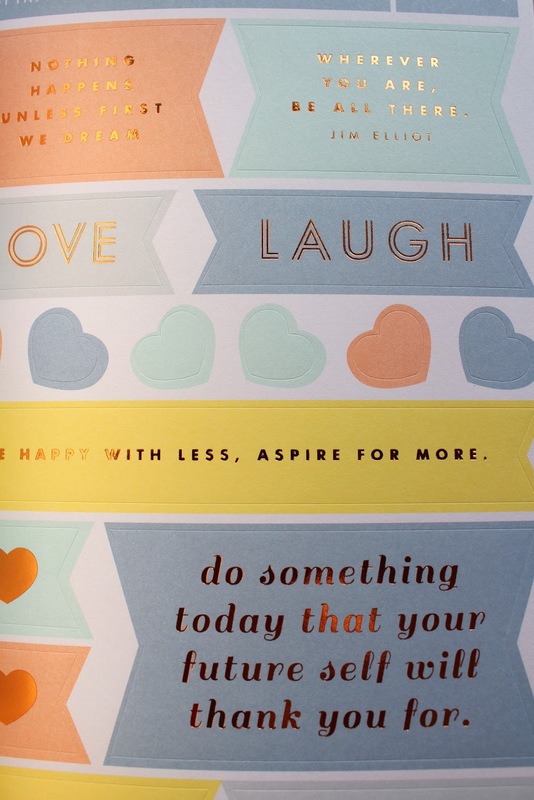 This sticker book is the sticker book of dreams: lovely quotes and words with nice prints/colours and rose gold details! So nice to add to a diary or on a post card for example. The notebook is simple and sleek with blank paper on the inside, with a number on every page. 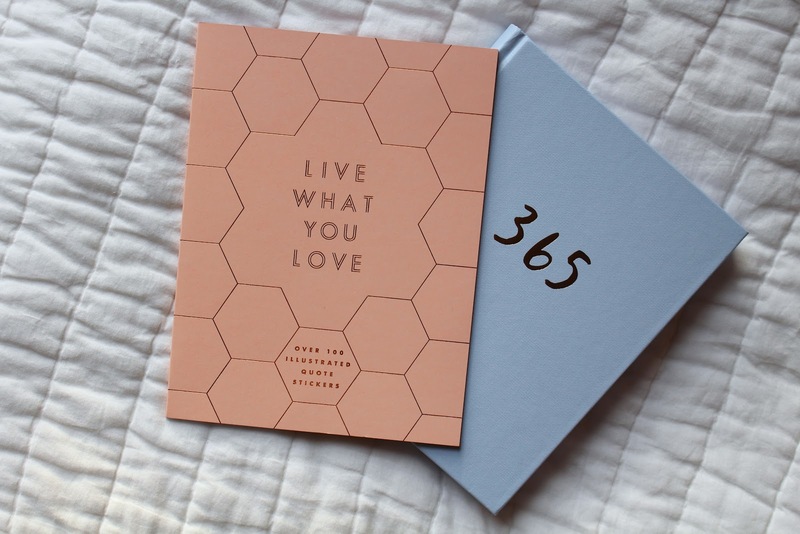 So it's kind of like a diary for every day of the year (although I think 2016 counts 366 days!) You can write in it whatever you like! I'm not sure what I'll write in it yet, maybe something new I discovered that day? A recipe? A thought? As you can tell I'm quite enthusiastic about this new discovery! I just couldn't wait to share, since I know many of you will also love this new brand. There are only two shops in London so far but they also ship to some countries in Europe and the U.S. Have a little look online to see more of the cute designs!